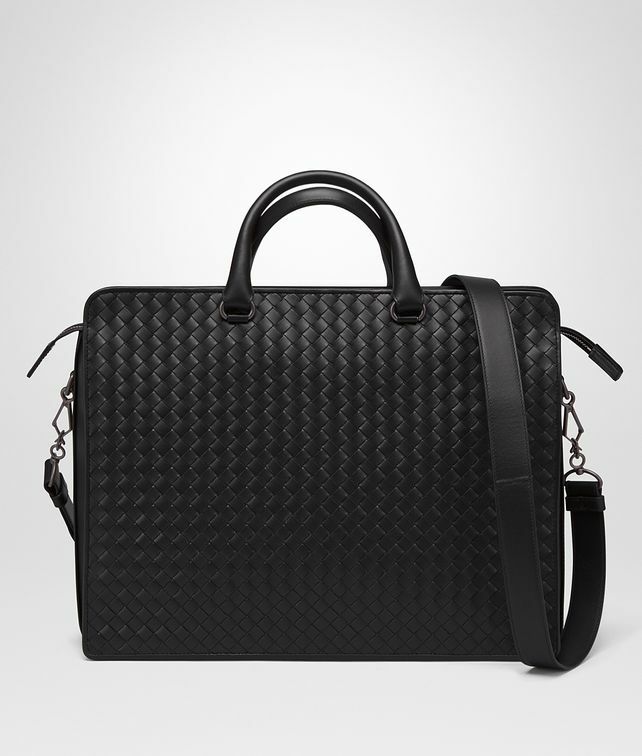 This Intrecciato calf leather briefcase is crafted to be durable and stylish. It's designed with an essential, structured profile that will hold its shape. The cotton lined interior has a double zip puller and is divided into three spacious compartments. Laptops and electronics can be stored in the fully padded central compartment. Carry it by the top handles or attach the adjustable shoulder strap to go hands free.